As chiropractors in Kitchener we want all of our patients to feel immediately at home when they walk in the door. Since chiropractic care involves a series of visits, with each one building on the ones before, it’s important for you to feel comfortable right from the start. Everything we do at Bruce Street Family Chiropractic has one purpose in mind…… To make sure your health and well-being are always top priority. Let us walk you through your destination of optimal health. We offer an array of services specifically designed to meet your needs. What you should expect at your first visit is a professional, friendly greeting from our staff. If you downloaded your new patient paperwork and completed it great, if not then we will ask you to do that first. Our goal is to assist you through each step with the utmost sincerity and concern. You will always be greeted with a smile. A thorough initial examination will be performed consisting of a lifetime health history, postural assessment and spinal examination. If the doctor recommends utilizing advanced imaging to better assess the exact cause of your problems, neurological scans and X-rays may be performed. 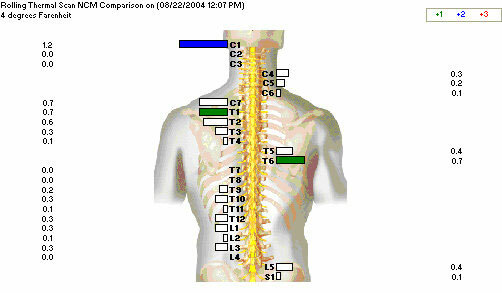 Bruce Street Family Chiropractic utilizes cutting edge technology in the assessment of your spine. Your nervous system is examined using The Insight Millenium Subluxation Station. 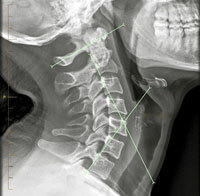 This state of the art technology is used to measure dysfunction related to the spine. It is the only spinal care technology certified by NASA and the Thermography it utilizes is now being used to screen for breast cancer. Your Doctor may also need to order X-rays for an accurate diagnosis of your condition. 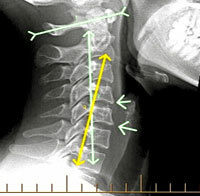 Chiropractors specialize in the reading and marking of X-ray films. All your results will then be thoroughly explained to you at your Doctor’s Report of Findings. Contact the Doctor of choice amongst Chiropractors in Kitchener and see how Bruce Street Family Chiropractic can help you.